Highland Park Police pointed rifles at Detroit DJ Moodyman, via Instagram. 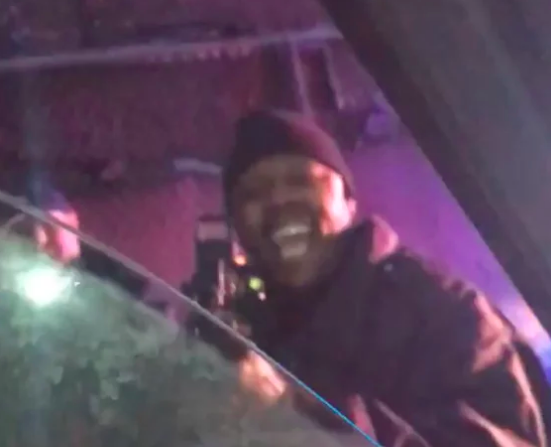 Detroit DJ Moodymann, a prominent figure in the Motor City’s techno and house music scene since the 1990s, posted video on his Instagram that shows Highland Park Police pointing rifles at him. Moodymann said he was taken to jail and charged with breaking and entering. During the confrontation, Moodymann continued filming, saying he was trying to unlock the door. “Let me unlock it. Let me unlock it,” he says in the video, which ends as he exits the car. The video has since been deleted from Instagram. The Black Madonna, a fellow producer and DJ, defended Moodymann on Twitter. Highland Park police told Motor City Muckraker the incident is under investigation but declined further comment.